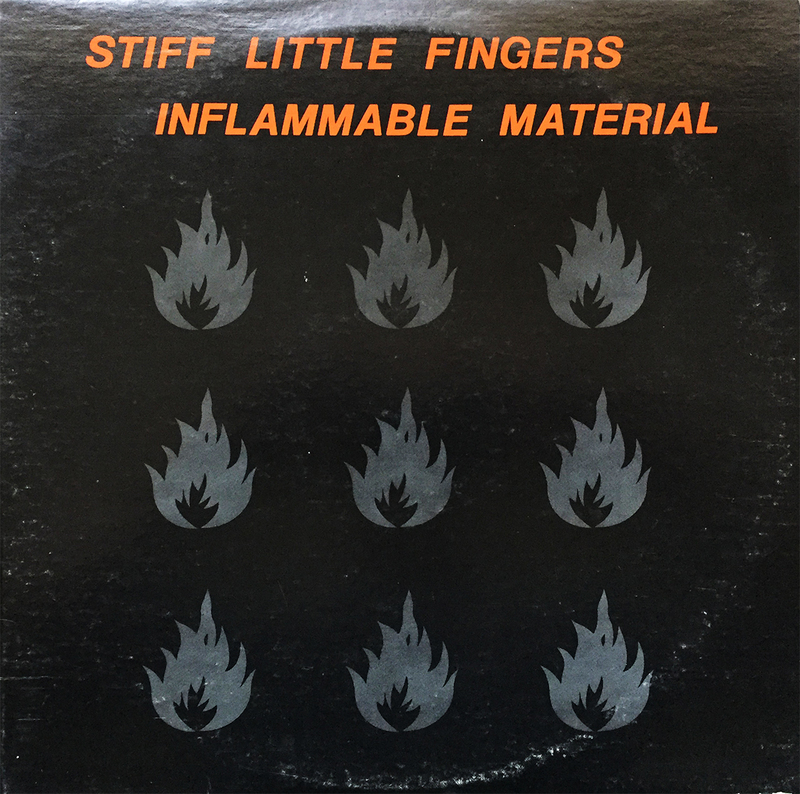 Happy to finally welcome into the fold this amazing and essential punk album, Inflammable Material from Ireland’s Stiff Little Fingers. Originally released in 1979, this 1980 US pressing was offered by Rough Trade Inc., 1412 Grant Ave., San Francisco, CA 94133… for those wondering. I’d been on the hunt for this album since my Milwaukee days back in the early 2000’s, and only just found out that the opening track, Suspect Device (which is arguably among the top three on the album) is a slightly different recording from the bootleg CD version I’ve known and have grown to love in the 18-some-odd years since I knew of this album’s existence… so that’s bitter sweet. Anyway, if you’re into seminal punk from across the pond with a timestamp of nearly 40 years, get into Inflammable Material. Simply put, it’s one of the best albums I’ve ever heard.